If you've been keeping an eye on the launches of flagships such as the Samsung Galaxy S6 and LG G4 this year then you've probably seen a lot of debate about the various advantages and disadvantages of phones with removable batteries. But why does this make a difference? These are the reasons why you should choose a removable battery. The trend is to opt for non-removable batteries (see the S6 and the S6 Edge), as manufacturers sacrifice the feature in favor of a more compact, streamlined handset. Nevertheless, here are the reasons we think removable is still the way to go, even if your choices are more limited. 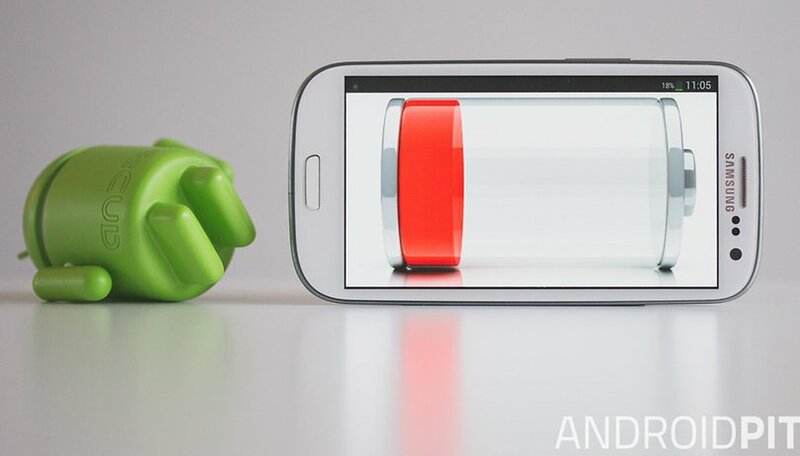 Battery life is hugely important for a smartphone. Whether or not your Android device can last a day without running out of juice is a big consideration when choosing a phone. Not being able to check Facebook is no great loss, but what if you need to make an emergency call? Various third-party battery upgrades are available that let you pack more juice into the same space inside your handset. What's more, if the existing battery inside your device should fail then you can easily replace it with a new one without having to fork out for a completely new smartphone. Another option for owners of a handset with a removable battery is to carry around a spare, pre-charged battery (or two) that can be swapped in when the original dies. If you're off on a long trek through the wilderness or going on holiday then it can save you hunting for a power socket. Portable power packs do the same job of course, but replacement batteries are usually smaller, lighter and less expensive, all important considerations when you're on the move. If you don't have a phone with a removable battery then you have to use a portable power pack or charging case. One final advantage to phones with removable batteries is being able to flip it out when the device freezes in order to perform a hard reset. Fortunately, smartphones are much more stable and less likely to crash than they used to be a few years ago, but it's still a useful safety net to have if required. For those phones with non-removable batteries there aren't many options for treating an unresponsive handset that won't turn on. Are you a removable battery loyalist? Or are you struggling to see what all the fuss is about? Let us know your thoughts in the comments below. Demanding that everyone give up options that you don't care about is exactly like Christians passing laws based on their religion. Why should I be forced to obey a religion I don't believe in? It doesn't matter what you think because it's not your phone. Everyone should be able to get what they want on their phones. Changeable batteries and memory cards are very useful. They increase the versatility and longevity of the phones. These things need to last a lot longer than two years. Some people would rather buy 2 terabyte sd cards that they can access without being connected to a network or using bandwidth and move to another device instantly than pay for cloud storage and bandwidth every month. Some people can't always be connected. Whatever our reasons are they are no less valid than yours. Also metal and glass phones are not "premium". That's just an opinion, and an ignorant one. All they really do is make phones less functional and easier to break. I hear that Lollipop 5.1.1 or 5.0.1 (I get them confused as I'm on 5.0 and it hasn't changed since first update) has caused a ton of problems for the Galaxy S6, especially in the battery life area. Wonder what the proponents of closed back phones think about it now? Yes, you can carry an external battery pack, but you still need to charge your phone with it while you're on the go. It's really inconvenient to move around with a phone connected to a brick. Not to mention that it's really lame to charge a battery pack so that it can charge your phone battery. Just charge a spare batt directly! A quick swap takes less than a minute and puts you back at 100%, no frills. What could you possibly need a micro sd card for these days? With storage options of 32, 64, and 128 which I have on my S6, and all the Free cloud storage available its a non issue. With an sd card, if your phone gets lost, stolen, etc. it's all gone! Cloud storage is available on all your devices, no removing the sd card and swapping it to another phone, tablet, etc. The USB cord that comes with every phone quickly transfers all pics and files to your main pc, no worries. Sd cards are not needed anymore. Your battery doesn't die in 2 years, stop making excuses. I had an S3 for 2.5 years, never missed a beat. The battery is perfectly fine, I can stream music all day at work, check my social networks, talk and text. If it gets low, the fast charge feature gets me 4+ hrs. of charge in like 15 minutes. No bother popping the back cover, and swapping out the spare battery that I have to carry around with me. I just ordered a Mophie Juice pack case that more than doubles my battery life while keeping the phone in a case, protected. I will use this when gone all day on the go and don't want to be bothered plugging in. Problem solved. Lastly, the premium glass and metal design... just gorgeous. The 1st thing everyone does when they buy a phone is slap a cover on it. When I'm @ home or at work I take the phone out of it's case and enjoy the premium build. Out and about, on the go it's protected in it's case. The S6s features, both software and hardware, camera, speed, etc. are the best available. Period. on any battery and makes me have to buy a replacemanet battery for my Galaxy Note & S4 at least every year. Also, if you never had to hard-reset your S3 I don't think you use it with many apps and/or as a power user ?! A Hard reset using a key combo is NOT EXACTLY the same as when you can pull the battery ... and I know this for sure from (quite some) experience. This mindset? Well, if the phone stops working you will have an SD card with your pics on it. People are trusting the Cloud, online storage, etc... Let's make car batteries inaccessible, flashlights, etc. etc. It's a SALES GIMMICK PERIOD. I have heard the cloud argument before and it makes me wonder if these people live a sheltered life. Definitely not a power user or a media consumer. I like to store a lot of music as well actual movies with good resolution on my device. Why? Because I use them. I would look pretty silly trying to stream a movie off the cloud when I sit down for a half-hour tube journey. Even the above ground trains don't have a net connection all the way through a half-hour journey. This is before I start talking about the internet data speed issue. Also transferable. I can move huge amounts of data between devices using a card, on the go, it will take days if not months to do the same over the internet. Have you ever been out of reach of the internet when your phone is not a phone or browser but just a media player? For days? Then you will understand the importance of both storage and removable battery. Cloud storage is paid, SD cards are yours once you buy. Carry as many as you like. I have an LG V20 64GB with a 200GB micro SD card. Both storages nearly full. I am now looking to buy a 1TB microSD if I can find an online shop that has it in stock. And you are willing carry around a brick-sized power pack but a spare battery burns a hole in your pocket? What kind of logic is that? The die hard Samsung buyers may have never been overly vocal about the removable battery and the sd card slot, but I can guarantee that is why most kept buying their products. I can't imagine anyone guilable enough to buy a closed system phone and those that do aren't anyone who is a techie. We like to have access to the system in case of problems or issues that arise. In fact, I just had to do a simple repair and change my charging port cover on my S5. A $2.00 part and it took 1 minute to do, but if it were on the s6, you would have had to take off the whole screen just to do it. If anything goes wrong on the s6 you just purchased, there is no quick fix or inexpensive repairs. There is no simple replacement for the battery and it is just another ploy to insure you buy the latest and greatest new smartphone in 1-2 years.. Forget any resell value on your old phones also because who would buy a 1-2 year old phone with a battery you cannot replace? That is how long a lifespan of a battery is. All these closed system phones do is fill up our landfills. Exactly. It should be required all portable electronic devices have removable batteries and standardized charging. I have a nexus 7 WiFi tablet 2013 and I cant really decide whether the spare battery I have does not work,refurbished tablet or battery? Have been using mobile phones since 1994, and have NEVER had the need to carry an additional battery. Charger at home, in the car and at work. When I fly out of town, and need my battery to last 16 hours, I use Ultra Power Saving Mode. Found the S6 edge battery lasts as long as the S5, which is sufficient for my needs. I never had the need until I took a trip for a job interview. My battery died a couple times just when I needed it. So I bought an extended battery and that took care of it. If I had a phone without a removable battery, I'd just buy a $20 10,000 mah external battery. I'm thinking about picking one up anyway, and I have a removable battery in my Note 4. It's not such a big deal. Really, what's the big difference between carrying an extra battery or two and having an external battery? I don't see why people are so offended by Samsung's design choice with the S6. I totally agree. One thing that has struck me is that although the NEXUS 6 and Motorola X both do not have removable batteries, it has only become an issue now that Samsung has done it as well. Because they had always offered phones with removable batteries and SD cards. It was their claim to fame, then in one instant did an about-face. It is just a feature a lot of Samsung users like ( including me ). There are a lot of option that can make up for not having removable battery. I still like the removable battery because it gives you more flexibility. The same reason why I want the SD card, more flexibility. Actually, I can not recall Samsung ever being praised for that. Mention was made of the best in class screens and camera, and even CPU speed, but they were never praised for their removable battery and SD card. So I would not call those aspects their claim to fame. I suspect its more a case of being the only things left to bash Samsung on, now that they have stellar build quality, and TW has been paired down substantially, to the point where bloat and lag is no more an issue. Me neither. I've never seen a Samsung ad that promotes the removable battery and microSD card. Regardless, a few years ago, I would have never considered a phone without a card slot. Things are quite different now. Claim to fame may have been a bad choice of words. The removable battery and SD card where things Samsung was know for. Don't get me wrong I have always like Samsung phones and would buy the Note 4, but it's larger than I want. Galaxy note 4, it's all about the pen the battery and sd slot, Samsung screwed up big time with the s6 series, and they will pay the price for the glaring omissions, a lot of people that I've talked to feel lied to with the promise of less bloat and the supposed ability to delete instead of disable, I don't like touch wiz so it's nova prime and disabling some apps and its the perfect phone, and with the sd slot it makes the wasted MB's of bloat a little easier to tolerate. Samsung what have you done??? No removable battery or sd card slot on s6. Got the s4 at the moment. Will be getting Lg g4 next time. The issue I have with power banks is I have never found one that will keep up with the phones usage when under load. I have 2 plus 2 extra batteries for my phone when traveling or on a week end fishing trip. Yes you can have non removable batteries replaced. I will never buy a phone with out a removable battery and SD card. Those are just the options I want in a phone. 1. Removable battery -- you carry a spare. You get 2 batteries worth of charge with the downtime of swapping the battery. 2. Non-removable (or removable) -- you carry a small quick-charge capable 10,000 mah external power pack you can buy for $20. It's not THAT much larger than a spare battery that it would pose a problem, and you get 4 times the battery life (1 from original, 3 from the battery pack) without having to shut down your phone to swap anything. And if you like, you can use it to charge 2 devices at the same time. And if your phone freezes... You can't do anything than cry until you get to a repair shop. And then cry more when you receive the receipt when your phone is fixed. Removable batteries should be a MUST in all smartphones! Oh, come on, you know that's not true. You don't think the manufacturers thought of that? You can reboot from a freeze with a button press combo on items without a removable battery. I have a tablet with a non-removable battery that has frozen several times, and its button press combo to reboot always works. Then buy an S5 and a ZeroLemon battery. I am still a big believer in removable batteries. I don't understand why Samsung would go from a removable 2800mAh battery in the S5 to a smaller non-removable 2550mAh in the S6? With worse battery life. It just seems crazy that so many people are buying the S6. Glass back and all the phone just seems ridiculous to me. Seems like they are trying to copy what apple did 3 years ago. Major backward step in my opinion. Absolutely agree!! Makes me feel as if they would rather compete with apple (refuse to capitalize their name), which they already do, take apple's customers, which they also already do, instead of listen to their LONG TIME LOYAL customers who have been there with them through thick and thin. Me too a huge believer in removable batteries, especially since the S5 Lollipop debacle. Either replace it yourself (some phones make this easy) or take it to a repair place to have it replaced for phones that make it hard.